On June 28, 2008, Blizzard officially announced Diablo III, in Paris, at their World Wide Invitational exhibition. Prior to that announcement, Diablo III had existed only in rumors -- more than eight years of rumors that were so powerful the hypothetical game had taken on an almost mythical status. While this was the first official acknowledgment of the game, careful observers were in near-unanimous agreement that development of Diablo III had begun at Blizzard North in the early 2000s, and continued at Blizzard Irvine following the closing of Blizzard North in late 2005. Evidence for this hinged not on any one point of overwhelming evidence, but was instead built from a great deal of circumstantial evidence and leaked tidbits. Those strands of evidence were compiled on this page, which was updated until shortly before the official announcement, but is now retired, its purpose fulfilled. 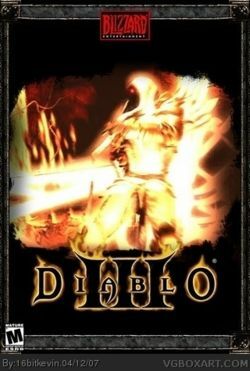 5.5 2005: Diablo III Soundtrack Recorded? 5.9 2006: All Future Blizzard Games to be MMOs? A very brief chronological history of important dates in the development of the next Diablo title. All events in this timeline are elaborated on elsewhere on this page. June 28, 2000. 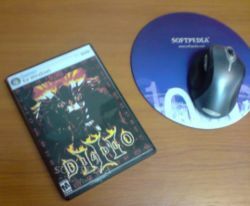 Diablo II released. Late 2000. Preliminary work begins on Diablo III. June 29, 2001. 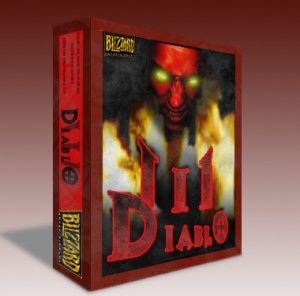 Diablo II Expansion released. June 11, 2003. Rick Seis named new head of Blizzard North. September 22, 2003. Flagship Studios founded by Bill Roper, Max Schaefer, Erich Schaefer, and David Brevik. Joining them as co-founders are five other principles, Kenneth Williams, David Glenn, Peter Hu, Phil Shenk, and Tyler Thompson.. Eight of the nine were working at Blizzard North before quitting to join Flagship. October 28, 2005. Massive rumors about Diablo III leak from Chris Hartgraves, an ex-Blizzard employee. September 6, 2005. Rick Seis, head of Blizzard North, evidently unhappy with plans for the continued development of Diablo III at Blizzard Irvine, leaves the company and joins numerous other ex-Blizzard North/Diablo team members at Castaway Entertainment. October 26, 2006. Richard A. Knaak, author of several of the Diablo novels, states that he is not writing books "for a dead game." July 13, 2007. Frank Pearce, senior vice president of product development at Blizzard, comments on the unannounced project. "Team 3 is working on something really awesome. I can’t give you any hints, but it’s totally awesome." 2004-2008. Numerous Blizzard job openings offer positions on, "the team that designed Diablo and Diablo II." June 21-27, 2008. Blizzard posts mysterious splash screen images on their home page, one per day, building anticipation for some sort of announcement at the WWI event the coming weekend. June 28, 2008. Diablo III is officially announced at the WWI in Paris, France. Nicely done fake D3 box. See the Diablo 3 Rumors page for a complete listing of every rumor and semi-informed speculation on the prospects and progress of Diablo III. This page only covers the major rumors, with somewhat believable sourcing. 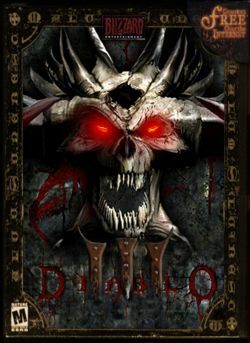 It's known and confirmed through private channels (though not officially by Blizzard) that the version of Diablo III the Diablo II team had been working at Blizzard North was dumped and the game's development was essentially began anew, from scratch, in late 2003 after Blizzard North was shut down. Why the new Diablo III team didn't continue on with the initial version of the game is unknown; the new team might have wanted to do their own game, the original version might have been too similar to what WoW became, or too similar to what Diablo II was, or it might not have been very good. That's what Kotaku reported  in August 2005. I just got an interesting update about Diablo 3. Rumor has it that the current work on Diablo 3 was canceled and that the game is going to be completely reworked. My tipsters tell me that Blizzard North's work on the game was, to put it kindly, below expectations. While this is mildly disappointing, it's nice to know that Blizzard still so zealously guards their name. This news does help paint a broader picture about the closing of Blizzard North. I'm not saying the two incidents are related, but they may be. It is about Diablo 3. Last week they had a thing called "Show N Tell" which they have every 6 months to all the full time employees - Anyways Diablo 3 takes place in heaven. Hell is trying to take it over and it is AWESOME looking ... Imagine the brightness of heaven being taken over by the darkness of hell ... Imagine WoW but in a Diablo world in amount of size and playability ... Also, guild housing is available in this game for those of you who know about it. They should have a gameplay demo to show at BlizzCon. I don't want to get any of my friends at Blizzard in trouble, so from instead of mentioning "Diablo III" let's call this theoretical game "Beelzebub 3" and instead of "Blizzard" let's call them "Snowstorm". "Snowstorm" is indeed working on "Beelzebub 3". Not only are they working on it, but they have been working on this game for no less than the past four years. In fact, "Snowstorm North" nearly completed the game several years ago, but what they developed just "wasn't fun" and been quietly reworked. This was actually one of the key reasons why Snowstorm North was closed and everyone was relocated to Irvine-based Snowstorm, so that the bigwigs in Irvine could better track and follow the development of Beelzebub 3. ...It is true that Beelzebub 3 will be done in true 3D and it did indeed look freaking awesome. It is also true that Beelzebub 3 features a story between the conflicts of Heaven and Hell and contains a very cool feature where every single item in the game can change between a "light" version and a "dark" version. However this was also one of the problems with the original version of the game. Other than the ability for any item to visually change from light to dark it didn't affect the actual stats of the item or change the gameplay in any way. So the game has gone through a total rework to inject some "fun" into the gameplay and to make it feel like the Beelzebubs of old. While the "set in Heaven" aspect of the rumor was confirmed years later, the reports of early Diablo III not being very much fun, or the dualism of light/dark items, have never been confirmed. Nicely done fake D3 case. Blizzard North was founded by the creators of the Diablo series, and they were allowed to remain at their own location in the Bay Area since they felt they could produce better in their home location, rather than down in Irvine with the rest of Blizzard. The studio wasn't a vanity company for the Diablo team, but they remained in the Bay Area and semi-autonomous on the strength of their work, seniority, and clout. When the company's founders left in 2003, that independence was on a death watch. The years of happy existence at Blizzard North came to a sudden end when "the big four," Blizzard North founders David Brevik, Max Schaefer, and Erich Schaefer, along with Bill Roper, departed in late June, 2003. The first word came in a somewhat June 30, 2003 shocked press release. A more official announcement came later that day, as the big four cleaned out their offices and a media circus kicked into high gear. I speak for everyone in our company when I say how grateful we are to have had the opportunity to work closely with this group of individuals. Each one of them has made valuable contributions to many of our games, and we would like to thank them for all of their hard work over the years. We wish them nothing but the best and are confident that they will be successful in their future endeavors," stated Mike Morhaime, Blizzard Entertainment president and co-founder. "At the same time, we want to convey that Blizzard's success has never been attributable to any one person or small group of individuals, and I am confident that we have the teams in place to continue creating some of the best games in the world." Blizzard does not believe that these resignations will cause any significant delays or have long-term negative effects on the "Diablo®" series or other projects in development. The last line of that press release was patently ridiculous, since less than two weeks later Blizzard announced a new Blizzard North leader, and slipped in mention that the second project they'd been working on was being shelved. Blizzard has announced that lead programmer Rick Seis will take the position of development team lead for Blizzard North. In his new role, Seis will lead Blizzard North's team of developers, which will be streamlined into one core group to focus their efforts on one key project. The details of the studio's next project will be announced at a future time. That project was never unshelved, and is now assumed to be a forever lost game. No details have ever been released, and the only people who know, Blizzard North employees and some NDA'ed visitors, haven't talked. 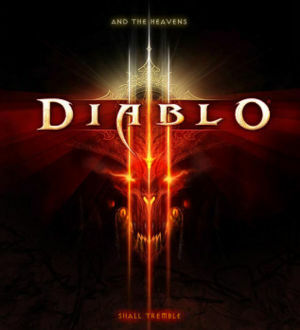 As for the one project, it was eventually confirmed to be Diablo III, and while development on it continued until mid-2005, progress was hurt by the constant staff departures during 2003 and 2004. With progress stagnated, Blizzard North was eventually shuttered and the remaining employees given severance packages or absorbed into Blizzard Irvine in late 2005. Tyrael on mock box art. The basic reason the Big Four gave for quitting has remained constant throughout the dozens of interviews they gave in the months after the split. Here's what Bill Roper said about it in late 2003. Actually, we didn't plan on leaving Blizzard, but that's the way things ended up working out. Basically, we were looking for a higher level of involvement concerning the sale of the Vivendi Universal Games unit and felt we had to go as far as tendering our resignations to try and open a direct line of communication with the decision makers in France. It was difficult to plan for our futures, and the futures of our co-workers, and with no long-term compensation or employment contracts in place, we wanted to be able to interact directly with the people making the key decisions that could drastically affect our lives and workplace. In the end, Vivendi chose not to make that opportunity available and accepted our resignations over the matter. But going forward, we look at this as a great new opportunity to start all over again doing something we love. Life threw us a curve but, to use a baseball analogy, we're aiming to drive it out of the park. We want to keep the company a lot smaller. When we left Blizzard North was up to two teams and was part of Blizzard overall. That was a lot of people to interact with and maintain ties with. We ended up getting in to much more management and much less making games. We want to get back to (as close as we can) spending all day every day making games, not figuring out how to keep 50 or 100 or 200 people all happy and working together. That's one of the bigger changes. There has always been a great deal of speculation about other possible reasons: did they want to make Diablo III an MMO but were shot down since World of Warcraft was going to be Blizzard's MMO? Did they want to make a new game world but weren't allowed to since Diablo was the franchise? Were they lacking in creative freedom as part of a large company that didn't let them make the final decisions on their own title? Some or all of these might have been issues, but if so none have been hinted at by the Big Four, and they have been very consistent with the reasons they have given, so it doesn't seem like any controversy is required to explain things. Blizzard North was officially closed in August 2005. The team behind the enormously popular Diablo franchise--most recently known as Blizzard North, the Bay Area outpost of Irvine, Calif-based Blizzard Entertainment--has been officially shuttered. Arguably, the office was moribund for months, those with ties to the Diablo franchise having departed months or even years ago to form studios of their own. Many employees took the offer to remain with Blizzard and relocate to Irvine. Others did not, and many more joined Flagship Studios, or looked for other work in the Bay Area. Real D2 artwork, fake D3 box. RUMOR: Blizzard is hiring developers for Diablo III. Source: A job listing on Blizzard's Web site. The official story: "We can't comment. Sorry!" --A nice-but-reticent Blizzard rep.
What we heard: While many people consider the hack-and-slash-happy World of Warcraft to be Diablo's spiritual successor, that hasn't stopped rumors about an outright sequel from circulating. That speculation spiked this week when Blizzard posted a job listing for "an experienced Game Designer to help lead the team that designed Diablo and Diablo II." Besides the requisite experience, Blizzard would like said designer to have "Experience working on RPG titles." Given that description, the Diablo III theory would seem like a logical conclusion, even though Blizzard won't even acknowledge the game's existence. But given the Diablo series' legendary status, development of a new installment would seem to be an inevitability, if not already an open secret. Bogus or not bogus? : Probably not bogus. In the years since then, many more such openings have been posted, many of them giving every indication that they were for a game in the Diablo series. This issue came to light in mid-2008. Blizzard lists the job openings on their Employment Opportunities pageBlizzard Jobs - Blizzard.com</ref> with an icon for the game the job is connected to. Their only announced projects (as of April 2008) are Starcraft II and World of Warcraft. They have icons for those two games, and another Top Secret icon for other project(s). The interesting part is that of the 25 or so Top Secret jobs, roughly half mention Diablo II, and the other half mention "Next Gen MMO. Yet none of those listings say both "Diablo II" and "Next Gen MMO." The team behind Diablo I and II is looking for a skilled lead 3D level designer with experience building levels using Maya or other similar 3D level building tools. The ideal candidate has experience creating levels in a senior or lead role on a shipped game. We would also like for this candidate to have excellent analytical understanding of competitive online play with various Blizzard Entertainment games and mods (real-time strategy, World of Warcraft, Defense of the Ancients, etc.). Note that there is no mention of any specific game; not Diablo, or even World of Warcraft. The Diablo series game is not an MMO. The Diablo game can't be that close to completion, not with 5 key design job openings, including Lead 3D Level Designer, Senior 3D Level Designer, Senior Game Designer, 3D Level Designer, and Associate 3D Level Designer. Blizzard is working on a next gen MMO, and it's very early in the process, since all they're hiring are artists and not level designers. The Diablo game is a next gen MMO, and Blizzard is being careful not to mention both in the same job opening since that might tip their hand. Ultimately it was revealed that Diablo III was indeed the non-MMO game. In 2010 the codename for the Next-Gen MMORPG was revealed to be Titan, but as of early 2011 no other details are known. The work of some anonymous prankster. Other important facts relating to Diablo III's development, in chronological order. Many of the items in the above timeline are elaborated on here. Work began on a third title in the Diablo series shortly after Diablo II was completed, in June 2000. This fact was alluded to in various interviews and comments by the D2 team, and more obviously in various biographies. For instance, when the Blizzard North exodus began in mid-2003, several key members of the Diablo II team formed Castaway Entertainment (now Big Tree Games). One of the founders, Stefen Scandizzo, said the following in his company bio, with an underline for emphasis. Stefan joined Blizzard Entertainment in 1998 as a level designer. While at Blizzard, he developed key functional elements for Diablo II’s random maze generation and also created much of the dungeon layouts using both his artistic and programming skills. He continued his level designing in Diablo II’s expansion: Lord of Destruction. In 2000, Stefan started producing 3D monsters for the character team for an unannounced upcoming sequel. Stefan worked for Blizzard for five years. This same point was made by Michio Okamura's biography when he left Blizzard North to co-found Hyboreal Games in December 2005, creating a website with Whiplash Media, which later became U.I. Pacific Games after a business deal in late 2006. Okamura's bio was similar to Stefan's, in that it initially said his work at Blizzard North was on an "unannounced sequel," before the wording was changed to "unannounced project." 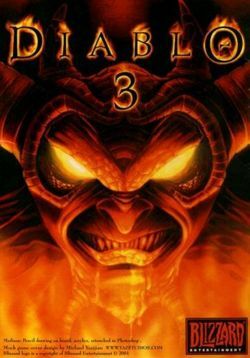 Given that the only games Blizzard North ever released were in the Diablo series, and that we now know Warcraft and Starcraft games were being worked on by teams at Blizzard Irvine, it's pretty clear that the only other possible game world to set a sequel in was the world of Diablo. On August 1, 2005, shortly after shuttering Blizzard North, Blizzard issued a press release hyping the event. "We're looking forward to having our PC development teams together in Irvine," stated Mike Morhaime, president and co-founder of Blizzard Entertainment. "In addition to improving our efficiency as a company, the relocation also represents an opportunity for all of our teams to have regular, direct input on each other's projects." Blizzard does not believe that these changes will cause significant delays on any of its projects in development. The company released its subscription-based massively multi-player online role-playing game, World of Warcraft, at the end of 2004 and is continuing work on StarCraft: Ghost, its upcoming tactical-action console game set in the award-winning StarCraft universe. Plans for future products will be revealed at a later date. Rick Seis was named the new head of Blizzard North and project lead on their unannounced project in July 2003, shortly after the turmoil kicked off by the departures of the "big four." 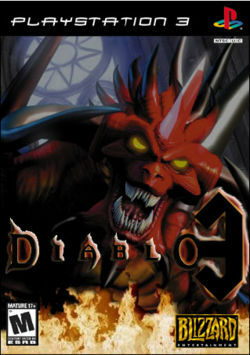 Rick remained with Blizzard North until the offices were closed and work on 'Diablo III was halted in mid-2005. He left Blizzard rather than move down to Irvine, and joined over a dozen other ex-Blizzard North employees at Castaway Entertainment. REDWOOD CITY, CA – September 6, 2005 - Castaway Entertainment is proud to announce that former Blizzard North studio lead Rick Seis has accepted the position of Technical Director and lead programmer for their current unannounced project. There were many possible reasons the head of Blizzard North's version of Diablo III might not have wanted to continue heading up the project in Irvine, but few of them were encouraging for fans who hoped to see the game released sooner rather than later. San Carlos, CA (10/31/2005) – Hyboreal Games announced today its formation as a new development studio dedicated to creating blockbuster video and computer games. The company is establishing a new best-selling game franchise by applying the proven formula of mass accessibility, addictive game play and longevity through re-playability. Hyboreal Games was founded by Eric Sexton, Michio Okamura and Steven Woo, all industry veterans and former developers for Blizzard North where their contributions were essential to the success of the highly acclaimed Diablo franchise which has sold well over 13 million copies worldwide. I am musician in Czech Republic. I play not with one orchestra but with many depending on work. I have recently been to Bratislava in Slovak Republic for recording sessions with local Radio Symphony Orchestra, where we just recorded music for Diablo 3. I did not find the people from Blizzard in the studio, but composer (Uleman?) was there and conductor was named Kirk Trevor, I think he is from England but he conducts in Bratislava much and also in some other cities in Czech Republic like Zlin. The music is again, like in Diablo 2 expansion, very much based on Wagner. In Diablo 2 expansion there are many plases in Act 5 that take directly from Wagners opera "Tristan and Isolde". This time for Diablo 3 there was music similar to Wagner operas "Lohengrin" and also "Siegfried" from Ring cycle. But this is not so bad that he takes from these things, almost all movie composers borow Wagner music, like Williams for Star Wars and others like Nino Rota who made music for Fellini's films. So now when Diablo 3 is finished I must buy, maybe I will hear all my mistakes (I play percussion instruments). This news could not be confirmed at the time, but it was very believable. The musician signed his real name, he had a Czech email address, and some searching through the Diablo II credits revealed that the music for that game was recorded with the same symphony in the same location. This rumor was confirmed more than five years later, when Matt Uelman gave an interview to Gamasutra  and talked about attending various Diablo 3 recording sessions with the Bratislava symphony in the Czech Republic. It's not known what became of that music, though it may have been used in other Blizzard games (such as World of Warcraft). Matt Uelmen was credited for contributing to the score of World of Warcraft and its first expansion. Wild rumors about the supposed content of Diablo III leak out shortly before the first Blizzcon in October 2005. See the Rumor Mill section of this page for full details. As of April 2008 These rumors remain unconfirmed and undenied. The source of the rumors was correct about some details of World of Warcraft and Starcraft II, but also claimed that Diablo III would debut at Blizzcon in 2005; a prediction that failed utterly. February 2, 2006. Blizzard's jobs page has so many positions to join the Diablo team that Gamespot runs a rumor report on the likelihood of Diablo III being underway. See the Blizzard Job Openings section of this page for more details. May 11, 2006. Blizzard COO Paul Sams tells GamespotPaul Sams interview - Gamespot, May 2006</ref> that the company is working on several unannounced titles in a variety of game worlds. Since this time Starcraft II was announced, in development for the PC. Diablo III was announced several years later, in June 2008. June 14, 2006. Confusion briefly reigned after after media coverage of a Vivendi Games presentation reported that all future Blizzard games would be MMOs, thanks to the massive success of World of Warcraft. Official refutation came via Blizzard's forums. I believe this was a misquote. We haven't announced any specific development plans beyond the upcoming expansion for World of Warcraft, and we don't have any intentions to focus on only one genre or platform with our future games. Question: How much of the book is creation of yours, and how involved is Chris Metzen behind the canon storyline of Diablo: The Sin War Trilogy? Do you think the ramifications of this book impact in the storyline of Diablo 3 the game? Question: So ... Diablo 3? Blizzard Employee 1: What are you working on? Blizzard Employee 2: Starcraft II, and you? Blizzard Employee 1: I am working on Hydra. "Project Hydra" was confirmed to be Diablo III's working title in 2008, when nameplates bearing "Project Hydra" were seen on numerous doors in the Diablo 3 development section of Blizzard's Irvine offices. Flagship Studios held their first community day event on May 17, 2007. Hellgate: London information was covered by an NDA, but Diablo II discussions were not, and hellgate.incgamers.com and diabloii.net contributor Flux attended the event (and visited Flagship Studios several other times during 2006-2007) and caught up with numerous Blizzard North founders and employees he'd known since he started covering Diablo II back in 1998. Exact details of what they'd left behind when they departed from Blizzard North were off the record, but Flux was assured by several Blizzard North employees that a good amount of work had been done on Diablo III by the time the big four departed in June 2003, and that the project had been kicked back almost to the drawing board once nearly the entire Diablo II team left the company after Blizzard North was closed in 2005. On July 13, 2007, Blizzard VP of Product Development Frank Pearce spoke to Gamasutra about the company's third team and their unannounced project. "Our global headcount is 2,700," said Pearce, "And most of that is customer service for World of Warcraft! In terms of development staff it’s probably around 350. World of Warcraft is about 135 people, 40 for Starcraft II, 40 for team 3, our cinematics team is about 85 guys. Then there’s sound and Q/A and that sort of thing." When pressed for details regarding the new project, Pearce was cagey. "Team 3 is working on something really awesome. I can’t give you any hints, but it’s totally awesome." "Diablo ... well, it is obviously a very important franchise to us. And I would say, that as with Starcraft and Warcraft, we will certainly get back to it at some point. We are focusing currently on World of Warcraft: Wrath of the Lich King and content associated with World of Warcraft and Starcraft II. We do have some other things in development, and we are not ready to talking about it yet, but what I can say is that we do love that franchise. And its something that we will get to revisit at some point." Blizzard Entertainment owns numerous trademarks and domain names for games in their empire. These do not necessarily mean anything, especially not in the short term; they bought Starcraft2.com before Starcraft was even released. But they do give some indication that the company has an ongoing interest in developing more games in their various game worlds. A partial and growing list of Blizzard/Vivendi owned domain names and the dates they were registered. Diablo II: Salvation was a title Blizzard registered in 2000, as a title for a movie or video game. In 2001 Blizzard instigated legal action to force New Line Cinema to change the name of their upcoming Vin Diesel-staring action film from El Diablo. Blizzard was ultimately victorious in the suit, and the film's title changed to A Man Apart. ↑ This is what Diablo III looked like a long time ago. - Kotaku, January 2011. ↑ Diablo III Rumors - GamingSteve.com, February 2006. ↑ Frank Pearce on Blizzard's teams - GamaSutra, July 2007. ↑ Paul Sams video interview - IGN, August 2007. This page was last edited on 6 September 2011, at 09:19.